Seventh Street Books, 9781633884885, 272pp. 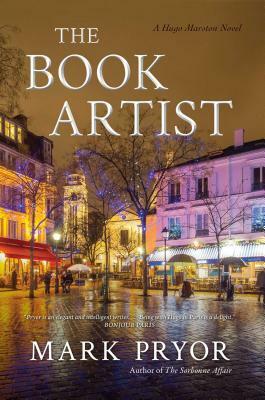 Hugo Marston, head of security for the U.S. Embassy in Paris, puts his life in danger when he investigates the murder of a celebrated artist, all the while fending off an assassin looking to settle an old score against him. Hugo Marston accompanies his boss, US Ambassador J. Bradford Taylor, to the first night of an art exhibition in Montmartre, Paris. Hugo is less than happy about going until he finds out that the sculptures on display are made from his favorite medium: books. Soon after the champagne starts to flow and the canapes are served, the night takes a deadly turn when one of the guests is found murdered. Hugo lingers at the scene and offers his profiling expertise to help solve the crime, but the detective in charge quickly jumps to his own conclusions. He makes an arrest, but it's someone that Hugo is certain is innocent. Meanwhile, his best friend, Tom Green, has disappeared to Amsterdam, hunting an enemy from their past, an enemy who gets the upper hand on Tom, and who then sets his sights on Hugo. With an innocent person behind bars, a murder to solve, and his own life in danger, Hugo knows he has no time to waste as one killer tries to slip away, and another gets closer and closer.